news The nation’s largest telco Telstra is reportedly planning to follow Microsoft’s international lead and cut prices on the local version of Redmond’s Office 365 cloud productivity suite, which Microsoft offers locally in partnership with the telco. 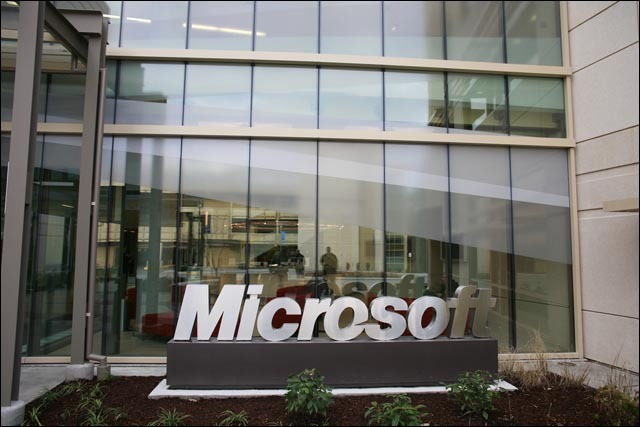 News of the price cut has been reported by Loryan Strant, a Microsoft Office 365 Most Valuable Professional, writing on local technology media outlet BoxFreeIT. “Telstra has notified partners of its T-Suite cloud software platform that it would reduce prices of Office 365 from 1 May,” Strant wrote this afternoon, noting he expected the prices to be in line with price cuts unveiled six weeks ago by Microsoft in the US. The US price cuts saw 20 percent slashed from the cost of using Office 365, with Microsoft staffer Kirk Koenigsbauer noting in a blog post at the time that the cost of running the platform had become more efficient over time as the company had “rapidly” added customers to the multi-tenanted environment. It is believed that those efficiencies would also apply to the version of Office 365 which Microsoft offers in Australia through Telstra, with the platform believed to be hosted outside the country. It is not believed that Microsoft hosts any significant datacentre infrastructure in Australia, with most of its services locally being provided from Singapore. However, Telstra has expressed a desire to host the platform on-shore. Currently, according to Microsoft’s global site (following the 20 percent price cut), pricing on Office 365 ranges from US$4 per user per month for simple email provision to $20 per user per month for a complete version of Office Professional Plus 2010 hosted in the cloud, with unlimited email storage and hosted voicemail support. In comparison, when Office 365 launched in Australia, the two companies locally set prices significantly higher than they were internationally, charging up to 76 percent more for access to the same services delivered online. Locally, Australians have been charged from $7.90 per month to $40.10 per month, a significant difference. Globally, Koenigsbauer noted in his Microsoft blog that the company has signed up companies like JetBlue, Patagonia, Campbell Soup Company, Groupe Marie Claire, and Tata Steel Europe to use the Office 365 offering, but locally Microsoft and Telstra have struggled to attract customers to the hosted platform, with the exception of the email component, which has proven popular amongst educational institutions such as universities, where it has gone head to head with Google’s rival cloud email platform under the label Live@EDU. I feel strongly that Microsoft and Telstra will continue to see slow adoption of their cloud computing productivity suite in Australia, as evidenced by the fact that they’ve decided to cut prices on the platform less than a year out from launch. The truth is that the desktop software deployment model for Microsoft’s ubiquitous Office productivity suite isn’t broken, and where it is broken, enterprises are working around it via virtualising the desktop as a whole, rather than following the Software as a Service model which Office 365 provides. I think there will be several exceptions to this rule, however. The first is clearly email. Organisations far and wide across Australia have recognised that email is a commoditised service and should be provided from the cloud as a managed service by a provider like Microsoft or Telstra, or another partner like HP. Increasingly, organisations will be looking at the email component of Office 365 over the next few years. The case for wider usage of Office 365’s other productivity features, I feel, will be largely limited to so-called ‘light’ or ‘edge’ user cases within organisations for the time being. I’m talking about university students who might need occasional Office use at university, although they would likely have the full suite installed at home, or branch company offices with only light use. Nurses in hospitals would be another case — their normal duties wouldn’t involve much heavy paperwork, but they would need it now and then. But core staff in all these cases will, no doubt, continue to use on-desktop deployed office productivity software. I don’t really see price changes as changing this. Microsoft needs to do more to make the case for Office 365 than cutting the price by a few dollars a month. It needs to demonstrate that there are clear advantages to the model compared with deploying Office on desktops. And right now, it hasn’t done that just yet. Update: Telstra has published the updated prices here. The Telstra T-Suite website and offering were always confusing and since the 365 upgrades things don’t seem to have improved much. That being said there are very few places that you can find a ‘big business backed’ 25GB hosted exchange account for under $10 per user per month. For small businesses a hosted mail offering it works really well. Telstra is pleased to pass on savings of up to 30 percent to our T-Suite customers from tomorrow, when price reductions made by Microsoft overseas take effect here. We’ve had very strong demand from Telstra Business customers and terrific feedback about the value of the Office 365 productivity range. Sales have been anything but ‘sluggish’, nevertheless we look forward to more small and medium buinesses now making the shift to online software.